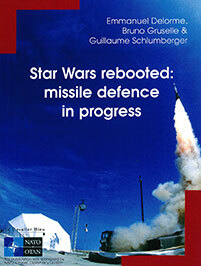 Cet ouvrage est la traduction du livre : La Nouvelle Guerre des étoiles - Idées reçues sur la défense antimissile, également publié aux éditions Le Cavalier bleu. Once associated with the Cold War and with the Reagan administration's “Star Wars” project, missile defence has now taken on a fresh lease of life. In response to an actual or perceived threat by States and public opinion, it has actually become one of the key topics in redefining the great strategic balances. To a large extent. however, its major technological, financial and military implications are still a mystery. It is true that this is still a difficult subject for a non«specialist public, very often coming down to grotesque misconceptions mixing ballistic missiles and the nuclear threat, pointing the finger at Iran, Syria and North Korea, not forgetting China, Russia, Israel and India. and the role of the United States, etc. Here the authors offer an educational work intended for the wider public, to reveal the technical, operational and strategic complexity of missile defence. Emmanuel Delorme, Lieutenant-colonel, French Air Force Academy graduate and Master of International Relations at Sciences P0; at present he is the coordinator of the missile defence project at the Directorate for Strategic Affairs. Bruno Gruselle, Head of research in the "proliferation-deterrence" centre at the FRS (Fondation pour la recherche stratégique). Ballistic missiles increase the nuclear threat. Perfecting a ballistic missile is a complicated business. Most of the proliferating countries resort to technology transfer to develop their ballistic capabilities. It is the Americans who have been behind missile defence. Interception of a missile is a matter of a few minutes. Missile defence is no more complicated than air defence. Missile defence is not governed by the rules of international law. Missile defence corresponds to space defence. Missile defence assumes the creation of a complex architecture of systems of systems. "Missile defence is an attempt by the United States to impose its strategies and its solutions on its allies. Missile defence calls for substantial investments which few countries can afford, especially in a time of economic crisis! Missile defence programmes give the American arms industries a real competitive advantage. The naval constituent is now one of the essential elements of American missile defence strategy. Missile defence has been forced upon Europe. Missile defence will soon no longer be the exclusive preserve of the United States. Missile defence is compatible with nuclear deterrence.